Our story begins in the late nineties when the former forest owners Carter Holt Harvey (CHH) identified the need to provide management with regard to mountain biking at Woodhill. Mountain biking had been growing steadily and CHH had been working with the Auckland MTB Club. However, health and safety was a growing concern and a higher level of management was deemed essential. During this time Craig Hunter had been running a small bike hire business from Woodhill and in September 2000 Craig formed Bike Parks Limited in order to service the newly formed CHH contract to manage an area of the Woodhill forest that would be designated to mountain bikers. 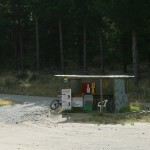 The focus in these early days (aside from hiring bikes) was formalizing the mountain biking environment at Woodhill, which meant implementing a registration system, creating and policing a 'designated area' for riders, and administering all the processes surrounding this new model.The registration process meant that riders now had to pay; this of course was met with some resistance, but over time we would pretty much completely overcome this resistance by illustrating the value of this new model. So, with limited resources, we began the process of improving the quantity and quality of the riding at Woodhill. Following some steady growth, Mark Harrowfield and Tony Afendoulis bought into Bike Parks Ltd in 2002. Craig was simply unable to provide the time the business required to achieve its potential as he maintained full time employment at Massey University. All three partners (who are friends from high school) set out to grow and improve their small business. Craig remained silent with Tony and Mark working full time in the business. By this stage the Woodhill Mountain Bike Park had become a true 'commercial' entity and therefore immediate attention was given to creating and implementing a health and safety plan that would ensure that we were offering the safest possible mountain biking environment. In addition to health and safety we began the process of building an efficient business structure. Being new business owners we had some work to do here! This meant - among other things - implementing accounting systems, a database system to properly administer registrations, an email system to keep our riders informed of what's happening along with building marketing plans, a new website and seeking sponsors. Of course while we developed our health and safety plans and business structure, we continued with the development and maintenance of riding at Woodhill. We set a goal of providing world class mountain biking at Woodhill which would be without partner in NZ - this meant new and better trails, new and better jumps and stunts and a commitment to the highest level of ongoing maintenance. Woodhill has a sand base, so while creating new trails is relatively easy (compared to dirt or clay based forests such as Riverhead) maintenance requirements are much higher due to the rate at which trail sections erode with use. We then decided that in order to achieve our goal of providing world class mountain biking, we needed to increase our investment in Human Resources; this meant employing a full time Park Manager. In making this step we created New Zealand's first full time role based on developing and maintaining great mountain biking trails and stunts. With our new structure in place we continued to improve the way we managed our business. While we still weren't making any money, we all knew we were creating something quite unique and exciting. However, we felt we were still exposed by safety issues surrounding the jumps and stunts in the park. At this time we employed the services of Peak Risk Management (PRM), a safety consultancy who have a key contract with Mt Ruapehu providing safety systems for their ski fields. PRM analyzed our health and safety plan and provided us with a number of recommendations to improve our safety procedures (we still use PRM's services today). This led to seeking further assistance concerning our bigger stunts which brought us to a company called Frame Group. Frame Group is an engineering firm with experience providing designs and consultancy to the Department of Conservation for the development of board walks and other recreational structures. This made them the perfect company to get involved with the process of having our crazy structures formally recognized! Frame Group completed a full audit of our existing structures and provided recommendations based on bringing them inline with the Building Act. This meant recommending either a) a specific fix or b) complete removal. At this time we removed around 40-odd structures and repaired some 10 others. From there we began the process of creating new designs for larger structures (i.e. over 1m high) that the council would both formally acknowledge and issue permits and consent for. This process took as over a year but today we are the only mountain biking location in NZ to provide stunts with this recognition from local council - a huge achievement in the mountain biking world. Since this time we have gone from strength to strength at Woodhill. 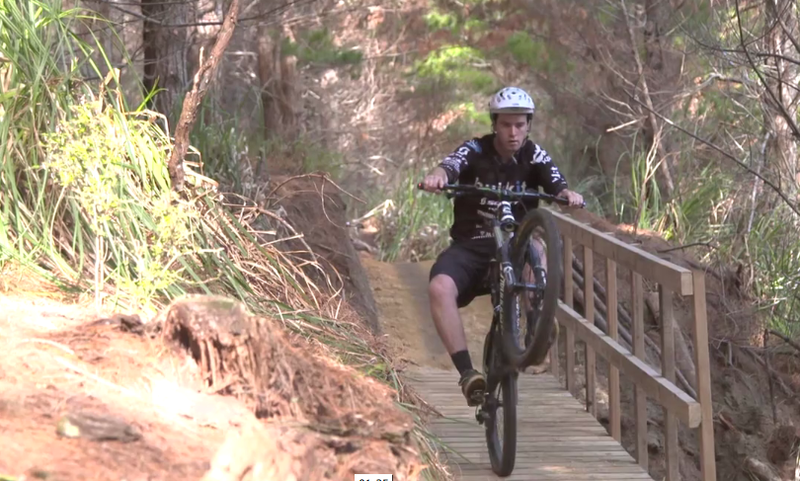 When Bikeparks took on the Woodhill license, there were only five trails available and very few jumps or stunts. Today we offer over 50 named trails/courses which provide over 100 kilometers of single track riding and over 100 purpose-built, council compliant jumps and stunts including our huge and pretty scary 'North Shore' stunts. Bikeparks now employs over 10 staff including 4 full time staff. Haydn Shore has been our Woodhill Park Manager since January 2005 and has become a valuable resource to all mountain bikers in Auckland. Haydn has brought about significant progress in many areas and continues to enhance his position as a figure head in Auckland mountain biking circles. As a result of our efforts the Woodhill Mountain Bike Park has become renowned throughout New Zealand's riding community as an exceptional and unique mountain biking destination. It's sand base means we can offer year round riding which is a characteristic that gives us the freedom to continue to pour more resources into it's development.